15 Jewel size 12 Admiral in a 20 yr hunter case double sunk dialThis 15 Jewels pocket watch has a Wa..
Vintage 1952 Elgin BW Raymond 571 Railroad Grade Pocket Watch 16 Size Open Face 21 Jewels 8 Adjustme.. 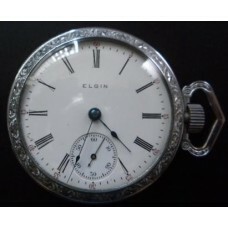 AWESOME 18s 1889 15j ELGIN BW RAYMOND RAILROAD GRADE 27 This is one of Elgin's Fine Watches- th.. Antique 1875 Elgin Pocket Watch in Engraved Railroad CaseVery Nice Antique 1875 Elgin Pocket Watch i.. 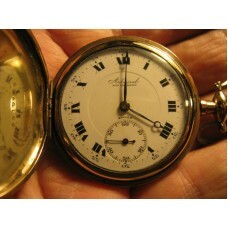 Antique 1899 Rockford Pocket Watch Size 18. 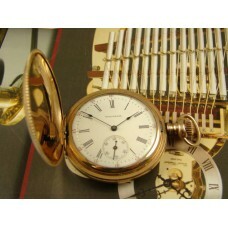 Antique 1899 Rockford Pocket Watch Size 18.Stunning Antique Rockford Size 18 lever set stem wind, Po.. 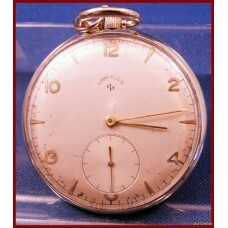 Antique 1907 Elgin Size 16 Pocket Watch. 17 Jewel Grade 340.3 Finger Bridge Blue Number Dial. 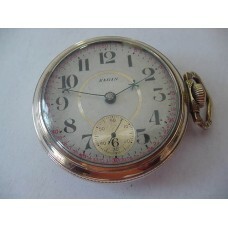 Antique 1907 Elgin Size 16 Pocket Watch. 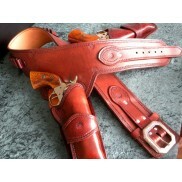 17 Jewel Grade 340.3 Finger Bridge Blue Number Dial. V.. 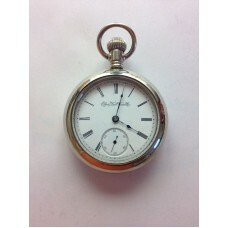 Antique Elgin 1903 Sidewinder Pocket Watch. 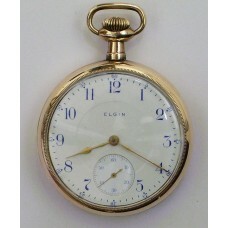 Elgin 1903 Sidewinder Pocket Watch.This is a wonderful 1903 Elgin Sidewinder pocket watch that is ov..
Lord Elgin 21 Jewel Size 10 Pocket Watch 1950You Are Looking At A Lord Elgin High Grade Gentleman's ..
Elgin Father Time 21 Jewel, 5 adjusting Positions in a Wadsworth Yellow Gold Filled Case. Size ..
Lady Waltham Dress Pocket Watch 1902This art deco classic will be a stunning addition to your high e.. 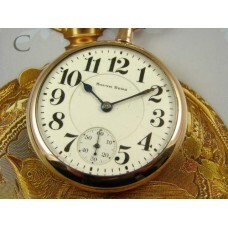 Magnificent & Rare South Bend 227 Grade Pocket Watch from 1912 From 1902 to 1929, the South..
South Bend 17 Jewel, 411 Adjusted, Silver Plated Case. 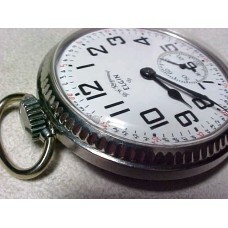 Size 12 Pocket Watch. South Bend 17 Jewel, 411 Adjusted, Silver Plated Case. 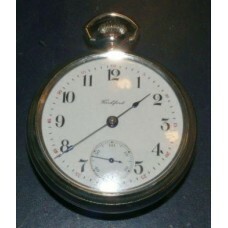 Size 12 Pocket Watch.Sout..
Waltham Watch Co - 17 jewels PS Bartlett Grade - nickel Hunting movem..